Vitamin B5, or calcium pantothenate, is part of the B vitamin family — a water-soluble group of eight essential vitamins that are necessary for the human body’s proper functioning. Also called pantothenic acid, this vitamin comes from the Greek word pantothen, meaning “from everywhere.” This reflects the abundance of vitamin B5 in nearly every food we eat. Because of this, it’s unusual for anyone to be lacking in this key nutrient. Calcium pantothenate is especially equipped for certain functions in the body, including the creation of the valuable coenzyme A. Coenzyme A is necessary for the metabolism of amino acids, carbohydrates and fatty acids (x). Besides its involvement in creating coenzyme A, B5 is also helpful for a number of other reasons. As a form of vitamin B5, calcium pantothenate is the calcium salt of vitamin B5. It’s present in almost every plant and animal tissue and it’s also common in various commercial supplements. B5 goes by a variety of names, depending on its form and function. It is also called D-pantothenic acid, panthenol and dexpanthenol (x). Vitamin B5 (pantothenic acid) can be taken as a supplement and is available in the form of tablets, capsules and softgels. It is commonly found in multivitamins and B-complex vitamins. The recommended daily dose of vitamin B5 is 5 mg for adults age 14 and older and 6 mg for pregnant women. Calcium pantothenate, a salt derived from pantothenic acid, is a stable form of the vitamin often used in dietary supplements. Panthenol is another stable form of vitamin B5 pantothenic acid. When used in cosmetic products, it converts to B5 through oxidation. D-calcium pantothenate, made from pantothenic acid, is a synthetic form of vitamin B5 (x). Though many people believe that eating a balanced diet is enough, taking a supplement of the B vitamin family is especially important. This family of vitamins is key for optimum health. The B vitamins, being water-soluble, do not store well in the body, so we need to consume them daily. Excess amounts are flushed out in urine. The B vitamins work in connection with each other. However, each B vitamin is present in different foods, and each one is capable of providing different benefits. 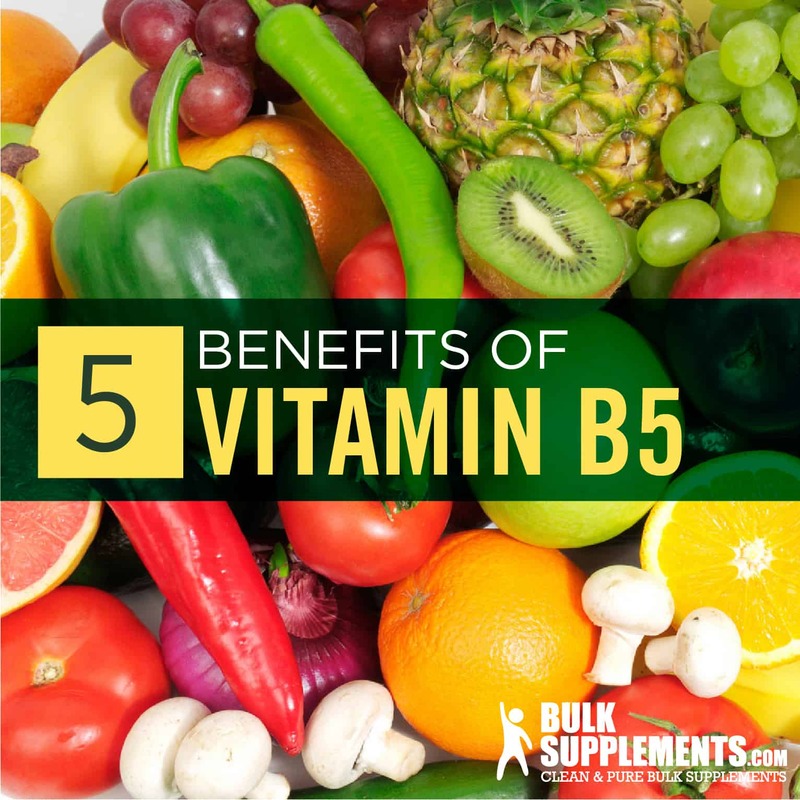 Vitamin B5, like the other members of the family, has its own special abilities. Though other B vitamins are typically present only in certain food groups, B5 is virtually everywhere and in a wide variety of foods. 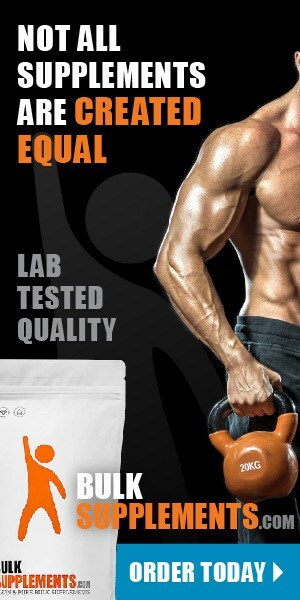 And that’s good, because B5 offers some incredible benefits. Vitamin B5 is often on some lists of nootropic supplements because it can improve learning capacity, help the mind focus and reduce brain fog. Nootropics are natural, non-toxic drugs that can enhance memory or other cognitive functions. B5 is necessary for the body’s use of acetylcholine, a neurotransmitter that’s essential for reasoning and other cognitive abilities. When acetylcholine levels are elevated, new brain connections can be made (this is called brain plasticity). Vitamin B5 calcium pantothenate contributes to brain plasticity because it boosts levels of acetylcholine. Calcium pantothenate is an important vitamin as individuals grow older, because acetylcholine levels tend to decline with age. A lack of acetylcholine is typical in conditions such as Alzheimer’s disease. Vitamin B5 pantothenic acid is a valuable nutrient in healthy brain function, memory, cognition and clear thinking (x). Vitamin B5 helps reduce anxiety and stress because of its role in producing coenzyme A. The adrenal glands use coenzyme A plus other elements to manufacture cortisol and epinephrine. Proper levels of cortisol give you the ability to respond to stress and cope effectively (x). Calcium pantothenate can help reduce LDL (bad) cholesterol and boost HDL (good) cholesterol (x). B5 is also an effective cholesterol treatment, and it accomplishes this without the nasty side effects found in lipid-lowering drugs. Moreover, pantothenic acid can lower the likelihood of stroke and heart attack by reducing platelet clumping (x). A form of pantothenic acid, dexpanthenol, may be able to ease constipation when taken as a supplement. Pantothenic acid is often present in laxative products (x). Some evidence suggests that calcium pantothenate might alleviate symptoms associated with rheumatoid arthritis. One study explored the fact that people with rheumatoid arthritis have lower levels of vitamin B5 than other people without the condition. A trial including 66 individuals with rheumatoid arthritis shows that they had less B5 than 29 healthy people. The study also explored the fact that those who suffered the most severe symptoms had the least B5 in their system. The findings of this study suggest that a lack of B5 does have a connection to arthritis’ progression. In a follow-up study, participants took 2,000 mg of vitamin B5 per day. These individuals reported less morning stiffness, less pain and fewer negative symptoms linked to the disease (x). Pantothenic acid for acne? Definitely. One study confirmed that vitamin B5 healed facial acne and reduced the number of blemishes when individuals supplemented with B5. Vitamin B5 pantothenic acid appears to calm down overactive oil glands and clears the pores of excess oil and dead skin (x). In a study of 100 people with severe acne, participants used a cream of 20 percent pantothenic acid. After three days, their faces became less oily. Within two weeks, pore size diminished and acne blemishes started to heal. New acne had significantly slowed. After six months, the acne had been totally controlled (x). Vitamin B5 is also a natural hydrator, or humectant. It causes skin to bind to water, making it an effective treatment for parched, rough skin (x, x). Vitamin B5 is often listed in product ingredients as panthenol. Panthenol is a form of vitamin B that’s derived from plants. Panthenol penetrates into lower skin layers and is easily absorbed into skin cells, where it turns into pantothenic acid. It adds essential moisture, which plumps up the skin, making it look hydrated and youthful. Panthenol can treat dry, irritated skin and sunburn. It can also diminish wrinkles and combat surface bacteria that contribute to facial acne. Panthenol in products keeps skin smooth and encourages the building of skin cells while contributing to hair and nail health (x). Vitamin B5 pantothenic acid can also relieve issues like eczema, poison ivy, diaper rash and insect bites (x). Studies have shown that vitamin B5 can increase the speed of wound healing. Scientists noted that supplements of vitamin B5 sped up skin repair, increased the number of cells involved in the wound repair and increased the coverage of repair (x). With all that vitamin B5 has to offer, it’s a good thing it’s so easy to find in many foods. The top sources of vitamin B5 include fortified breakfast cereals, beef liver, sunflower seeds, egg yolks, shellfish and chicken breast. It’s also present in vegetables like avocados, broccoli, cabbage, shiitake mushrooms, sweet potatoes, russet potatoes and legumes. Other than the benefits listed above, individuals take vitamin B5 supplements for a variety of reasons. The list is long, and scientific trials have not been conducted to confirm that vitamin B5 is effective for all of those additional benefits. B5 may also be good for treating acne, allergies, baldness, asthma, ADHD, autism, burning feet syndrome, celiac disease, colitis, dandruff, diabetic nerve pain, gray hair, immune system enhancement, athletic performance, insomnia, low blood pressure, leg cramps and general nerve pain. It is also taken for conditions including osteoarthritis, Parkinson’s disease, PMS, anxiety, signs of aging, skin disorders, constipation and wound healing. Dexpanthenol, a synthetic form of vitamin B5, can be applied topically to relieve skin irritations. It’s also given by IV for post-surgical issues and used in spray form for nasal conditions (x). Vitamin B5 pantothenic acid is safe for most people in recommended doses. Taking excessive amounts of vitamin B5 can result in side effects such as diarrhea, heartburn and nausea (x). Vitamin B5 (pantothenic acid), or calcium pantothenate, is a water-soluble vitamin essential to good health. Found in an incredibly wide variety of foods, it has functions that keep the body working smoothly. Essential to the production of coenzyme A, vitamin B5 is a friend to the body’s neurotransmitters and a boon to brain health. Taking supplements orally and topically can be a huge benefit for healthier skin, since it’s easily absorbed. B5 goes by several different names. Some of its common names are panthenol, dexpanthenol and D-pantothenic acid. You can find it in the ingredient lists of many cosmetic products and in B-complex vitamins. When people want to target various conditions like brain fog, rheumatoid arthritis, dangerous cholesterol levels, stress, constipation or acne, vitamin B5 can help.